What a rainy week it’s been! It really has been too wet and windy even for me. I’ve had a few quick trips out into the garden to pick produce, but other than that, I’ve been indoors. I thought I’d take advantage of the inside weather to use some of the limes that we have all over the tree. I’d had it in my mind to make lime and ginger cordial for quite a while, but I didn’t have a recipe or any idea really whether it was a bona fide drink or not. I bought a good sized bit of ginger at the supermarket, but by the time I got around to the cordial, there was only a 2 inch piece remaining, due to a lovely curry and another dish during the week. Still, not knowing how much was needed, that amount was as good as any. The end result was quite nice, but not as gingery as the cordial of my dreams, so I’ll double the ginger next time. Apart from my raspberry cordial, I make my cordial with a recipe from my sister in law, which is 2-4-6. 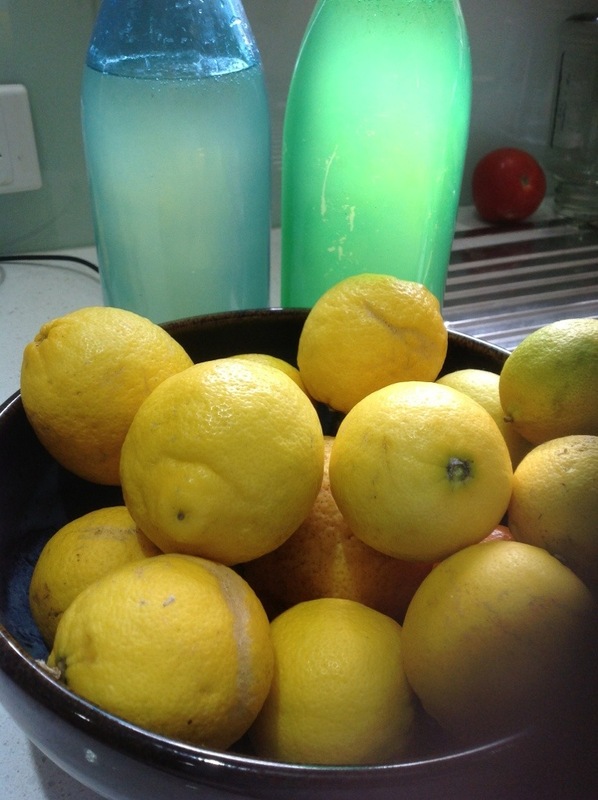 2 cups of juice, 4 cups of water and 6 cups of sugar. yes, 6 cups, so it’s not something we drink every day). The ginger I sliced up thinly and added with some lime rind right from the start. Once the sugar’s dissolved in the water, I add the juice and boil for 5 minutes. I usually add a tablespoon of citric acid. 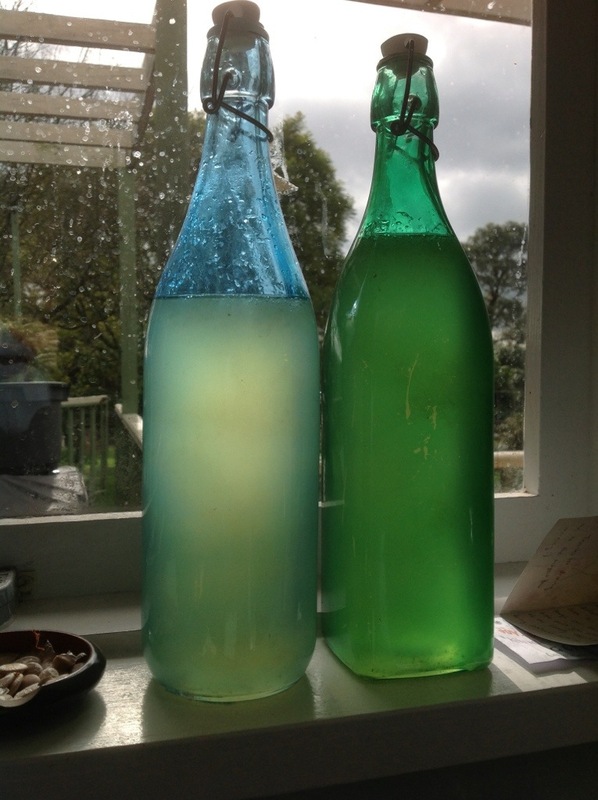 These bottles have been added to my lemon cordial (1st prize at the show), and raspberry (2nd!) in readiness for summer nights on the back verandah. Just as soon as we get some SUN! I’m not usually so worried about the weather. Having come to Gippsland from Perth, where I felt like we were in a permanent state of drought, I still love the rain, even after 9 years. As my good friend always says when it rains: “Good weather for ducks and Donna”. At the moment though, the desire to have a nice garden for Gardivalia is overriding my love of rain. 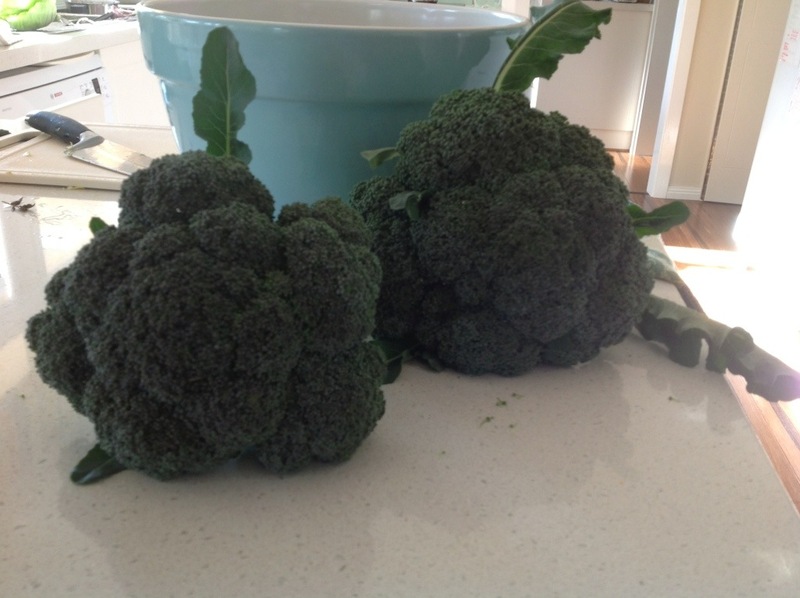 On the positive side, the broccoli are the best I’ve ever grown and there’s not an aphid (or is that an aphis?) in sight. I’ve always had broccoli which was smaller than shop broccoli, so I assumed they used chemical fertilisers (I use none), but this year, I got the seedlings straight from the punnet to the garden, and got them in too early for the bugs. Yay. Note to self for next year to do the same. My lime and ginger cordial on the windowsill, with a few pumpkin seeds on the left. look at that rain! 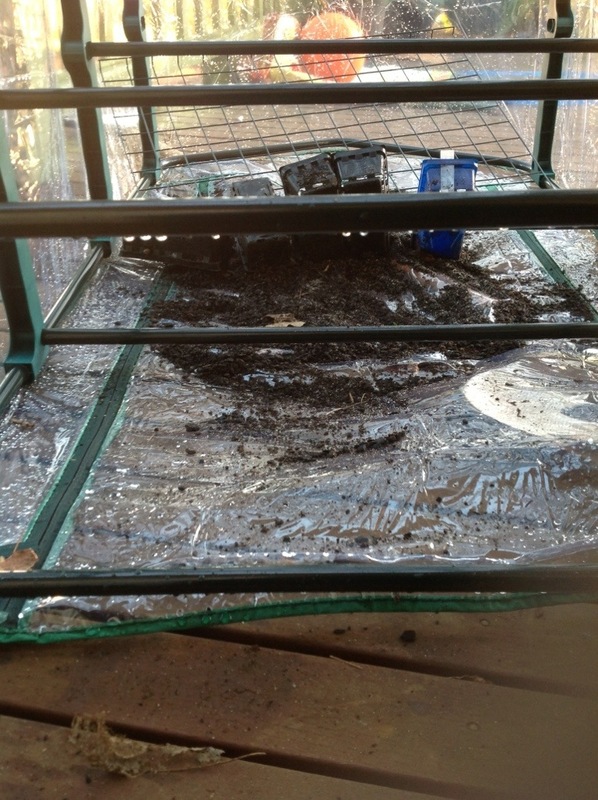 I’ve got some seedlings in, after a very sorry start (see the pic below). I’ve been reading the “weeks until harvest” information with renewed interest. I’ve always just gardened with a view to a succession of harvest, but with a date for Gardivalia very much implanted on my mind (just 9 weeks to go), I’m also trying to have a good looking garden for visitors. I don’t want 100 tonnes of produce all ready the same day, but I want something that’s worth looking at, that will show and provide talking points about what we do here. I really want my visitors to enjoy their time here. The wind blew my seedlings over. I had to start again! The weather this week looks much better; Friday’s forecast is even promising 20 degrees. I hope to plant my potatoes, and sort out my alstroemerias this week. I wonder whether there’d be interest in them if I dug some up and potted them?